What is All-On-4 or Teeth In A Day? The All-On-4 Dental Implant Procedure provides patients with a permanent fixed dental bridge that is attached to as few as 4 dental implants in one day. In one appointment 4 dental implants are placed into the jawbone and a dental implant bridge is attached to the implants immediately. This procedure is also known as All-On-4. Our dental implant specialty team is composed of Dr. Richter, an oral surgeon, and dental laboratory technicians. The result of our All-On-4 dental implant procedure restores your natural smile resulting in a more confident you. Each implant procedure is customized to reflect your personal cosmetic and functional desires. All-On-4 is designed to preserve your smile for life. 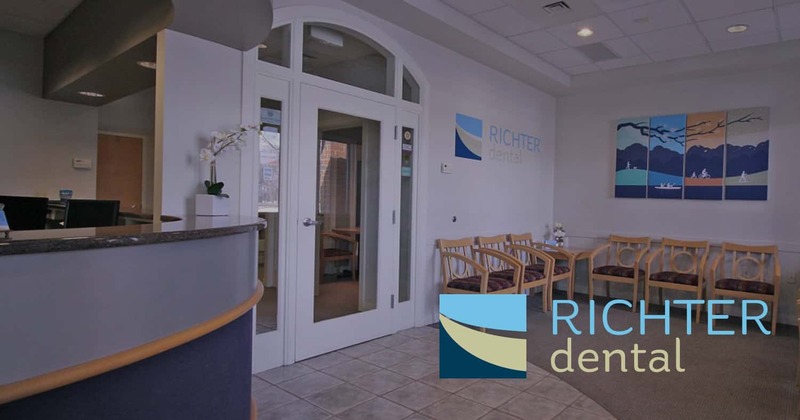 If you believe you can benefit from the All-On-4 dental implant procedure or would like more information, call Richter Dental today to make an appointment!